[This made me grin. Deep down it shows you that the Boer is a racist – and there’s nothing wrong with that. 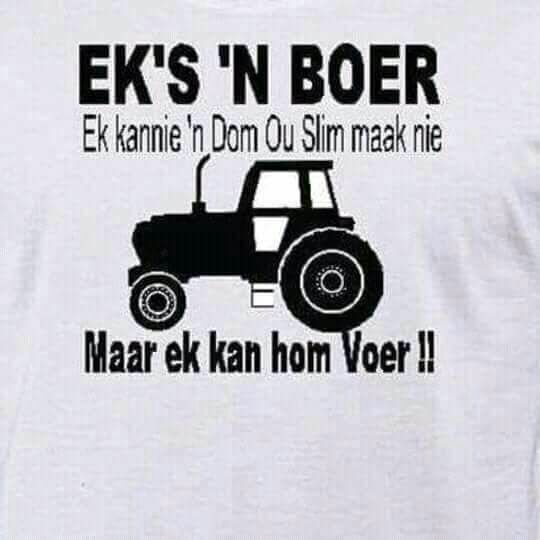 Maar ek Kan hom voer!! – But I can feed him!! So why it mentions “I can’t make a dumb guy clever” – I’m sure that’s a reference to the blacks! I can’t make them smarter but I can feed them!! ← 4 Photos: WARNING: GORE: S.Africa: White Woman stabbed & cut 9 times yesterday!